God, Can you see me? HEY up there. Can You see me? I realize I am probably the size of a pen dot to You but I am down here waving, jumping up and down, shouting with a mega phone, and asking for Your help to our situation here. Can You see me? I would really like some kind of sign that You see me. I realize You have millions of children and we are all equally valuable to You but I am guessing You have some sort of priority list going. How else could it work? Could we inch closer to the top please? Is there someone up there that takes all the requests and then filters them to You? If so could I have their name and number please? I am trying, really, I am trying not to panic but them there are those days when I realize the days are closing in and things are going to become unknown. Then what? Then what God? How does it work after September 21st exactly? Stability, income, understanding of the future, what is to come, really my list has no end! I know you want me to “fix” this but it just doesn’t work that way but I can promise you this. So don’t worry about these things, saying, ‘What will we eat? What will we drink? What will we wear?’ These things dominate the thoughts of unbelievers, but your heavenly Father already knows all your needs. 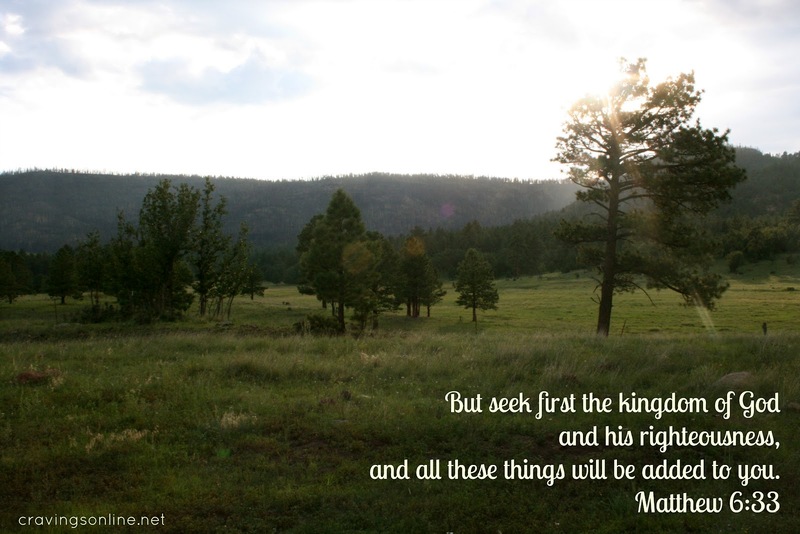 Seek the Kingdom of Godabove all else, and live righteously, and he will give you everything you need. You can find that in The Book I gave you in Matthew and then go to chapter 6 verses 25-34. Gotcha God. Focusing on today God. Focusing on today. P.S. – Thank you for the 3 “I see you” signs 40 minutes after I wrote this.